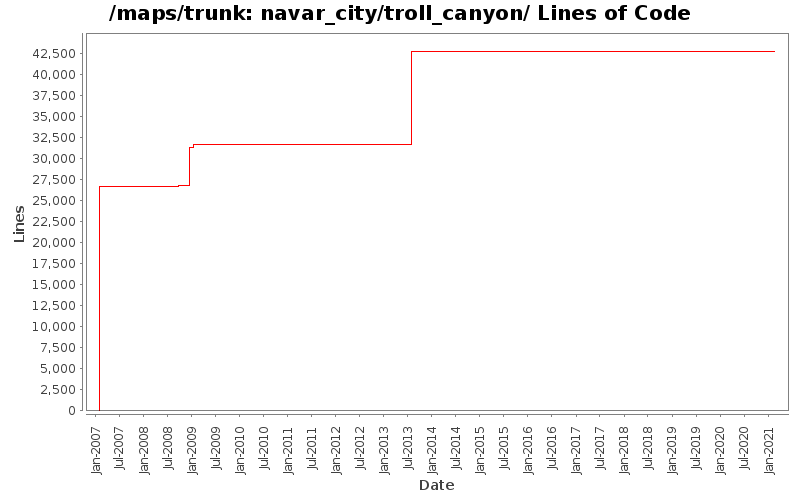 Fill in empty cave wall sections to Troll Canyon Cavern (navar_city/troll_canyon/troll_canyon.7) in Navar. Cosmetic change only, no function changes. Don't require dimension door to win Troll Canyon. Fix capitalization of "Fierce Troll". Fix troll canyon map tiling. map to solve this problem. Also fix tiles for entire map. Take this opportunity to better connect elements of the map. Do not tile Troll Canyon entrance. The entrance (32x64) is less than a single world map tile (50x50). DMs trying to reset the map. troll actually say something (was broken due to typo). Quest: troll canyon, given by an NPC in the High Court Building. Word spacing correction in message text to Troll Canyon (navar_city/troll_canyon/troll_canyon.1) in Navar. Cosmetic change for nicer cave wall merging to Troll Canyon Cavern (troll_canyon.12) in Navar. Cosmetic change for nicer cave wall merging to Troll Canyon Cavern (troll_canyon.11) in Navar. Cosmetic change for nicer cave wall merging to Troll Canyon Cavern (troll_canyon.10) in Navar. Cosmetic change for nicer cave wall merging to Troll Canyon Cavern (troll_canyon.9) in Navar. Cosmetic change for nicer cave wall merging to Troll Canyon Cavern (troll_canyon.8) in Navar. Cosmetic change for nicer cave wall merging to Troll Canyon Cavern (troll_canyon.7) in Navar. Cosmetic change for nicer cave wall merging to Troll Canyon Cavern (troll_canyon.6) in Navar. Cosmetic change for nicer cave wall merging to Troll Canyon Cavern (troll_canyon.5) in Navar. Cosmetic change for nicer cave wall merging to Troll Canyon Cavern (troll_canyon.4) in Navar. Cosmetic change for nicer cave wall merging to Troll Canyon Cavern (troll_canyon.3) in Navar. Cosmetic change for nicer cave wall merging to Troll Canyon Cavern in Navar. Removed line breaks in magic_mouth dialogue text to Troll Canyon (troll_canyon.1) in Navar. Cosmetic changes to many of the maps - gave them the 'navar look' (westcwall). Renamed maps (which were either unnamed, used the actual file name or tweaked their spelling and capitilization.) Renamed maps with a generic name to something more specific. Other changes are due to Map Editor reformatting.